Solve your questions about Amalfi Coast asking the members of the Eluleka Community. 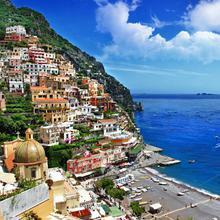 Amalfi Coast Hotels. Where to stay on the Amalfi Coast ? My wife and I are going to make a 12-days trip to Italy at the end of April. We will arrive at the airport in Rome and we will leave Italy from the Naples airport. We are planning on staying in Rome ( 5-nights ), Naples ( 2-nights, to visit Pompeii and Ercolano ) and the Amalfi Coast ( 5-nights ). We need help deciding where to stay on the Amalfi Coast. Thanks in advance, for any tip on places to stay or to visit on the Amalfi Coast. Share your reviews on Amalfi Coast with the Eluleka Community members.